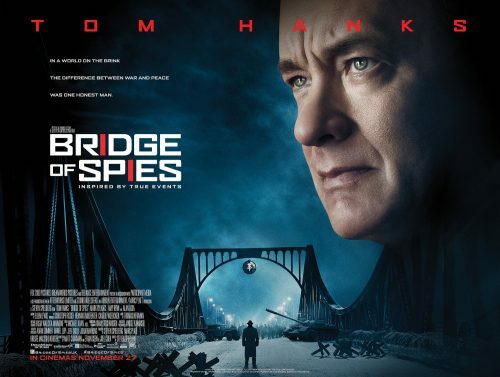 From a poster reminiscent of the 60s comes a new poster for Bridge of Spies. This one is another take on the big face hovering over a scene from the film. All we know is that TOM HANKS is in it! We could tell that by whose face is plastered all over it. Apart from telling us who is in it and the film involves a bridge, and possibly spies, the poster doesn’t do anything more. It could have worked without a godlike Tom Hanks’ face in the frame!